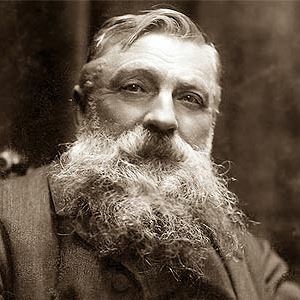 François Auguste René Rodin was a French sculptor known for his sculptures such as The Thinker and The Kiss. As a child he experienced severe difficulties in school. He was extremely nearsighted as well as exhibiting traits of dyslexia. His father once said, ‘I have an idiot for a son,’ and an uncle claimed that he was ineducable. At age 14 he could barely read or write and struggled with mathematics, but had started drawing at an early age. Although his artistic talent was clear, because of his academic difficulties, his family sent him to a school that trained craftsmen. At age 17, Rodin applied to attend the prestigious École des Beaux-Arts in Paris, but his application was rejected. He tried again, but two subsequent applications were also turned down. As a young man, Rodin earned his living working with more established artists and decorators, usually on publicly commissioned works such as memorials or architectural pieces. 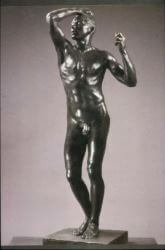 He began to achieve recognition for his work with The Age of Bronze, created in 1876. Over the next decade, as he entered his 40s, he further established his distinctive artistic style with many acclaimed and sometimes controversial works. By 1900, he was a world-renowned artist.